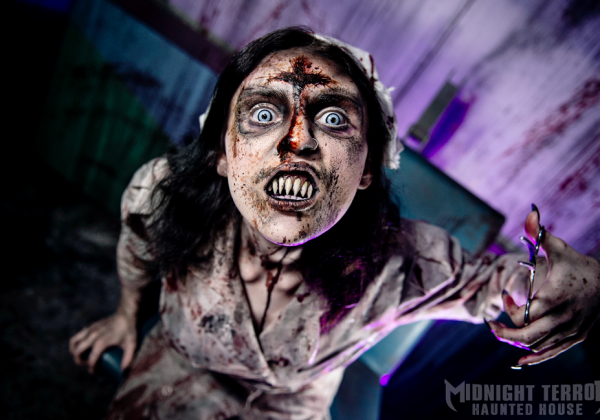 Midnight Terror Haunted House is a company with 20 years experience in the Haunted House & Entertainment Industry. Driven by passion, we have discovered what it takes to create something completely original. 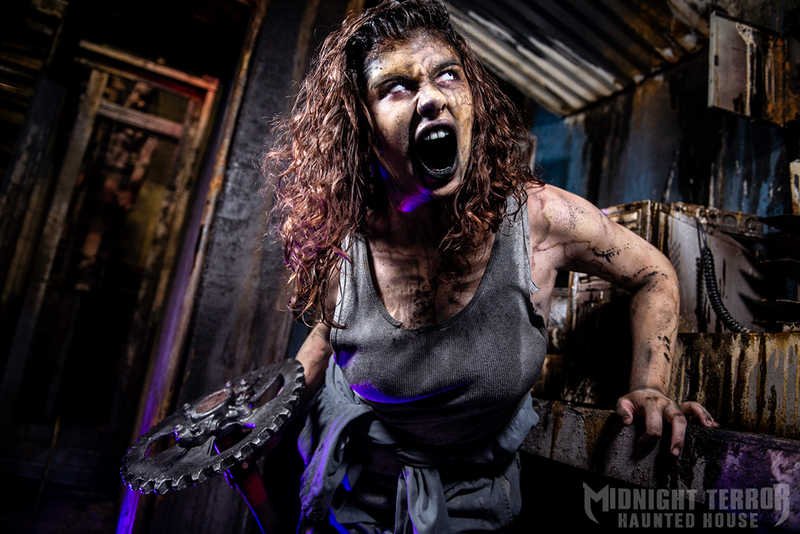 We use “Old School” tactics, with a balance of “New School” technology and we put extreme focus on making Midnight Terror an “Actor Driven” show! 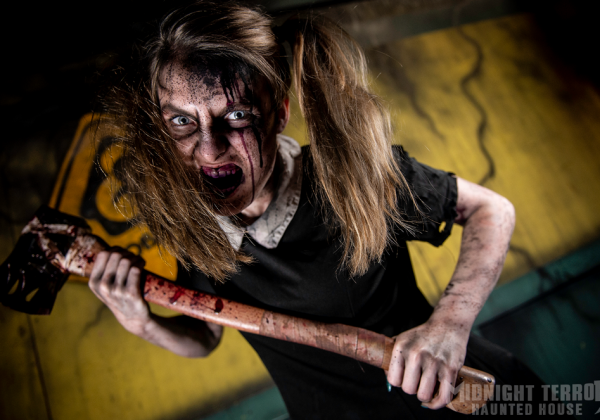 Midnight Terror’s expansive playground progresses throughout 26,000 square feet, more rooms than we can count, and actors in every spot we can fit them. Explore the twists, turns, and tight spaces of “Factory of Malum”, which leads into the theatrics and special effects of “Black Oak Grove”. 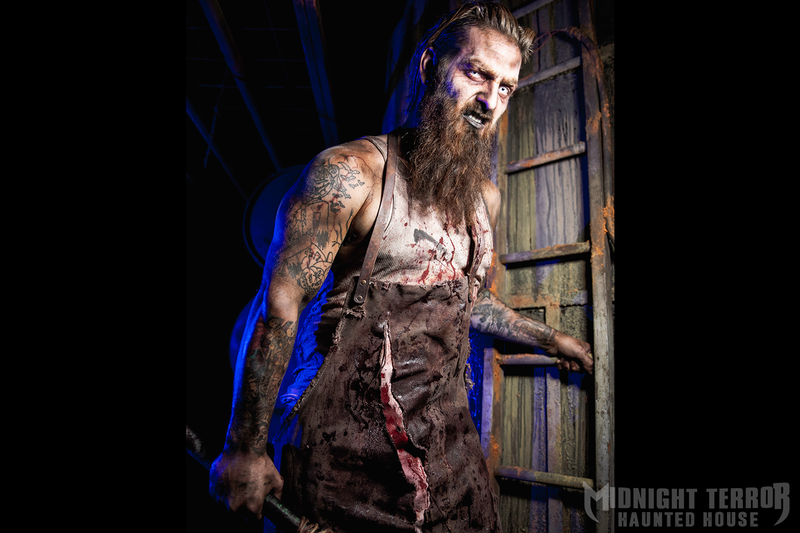 To finish off the Night of Fear, you’ll then have to tread through “Chainsaw Alley”. An ending you won’t see coming. 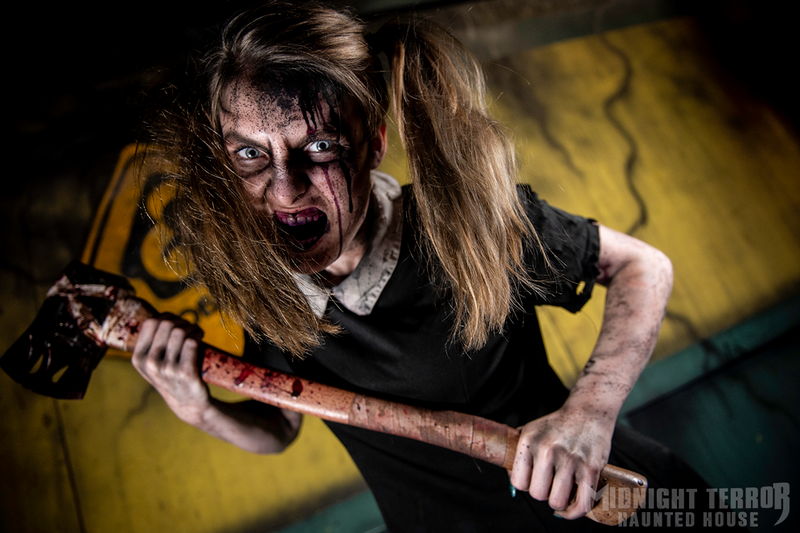 We have been featured on: Coaster Nation – NBC Chicago – Chicago Tribune – Fox News – Urban Matter – Travel Pulse – Chicago Now – Time Out Chicago – Do312 – Thrillist – Wgntv – Haunted Illinois – Scare Factor. 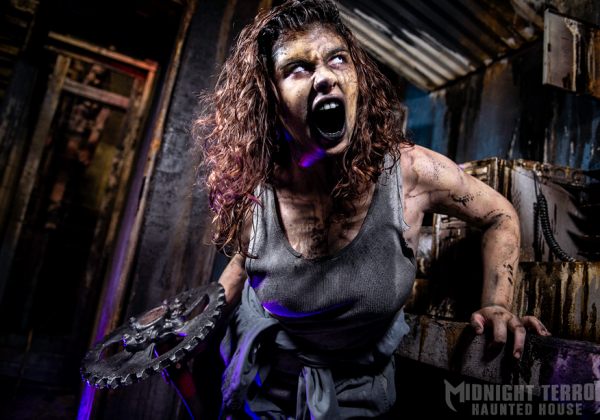 Midnight Terror is also home to the recipient of the 2017 Jim Warfield Acting Award from Haunted House Chicago. This October “EXPERIENCE FEAR” with a group of your friends, family, or colleagues when visiting a Chicago Legend in the making. Signup for deals, news, and money-saving offers! 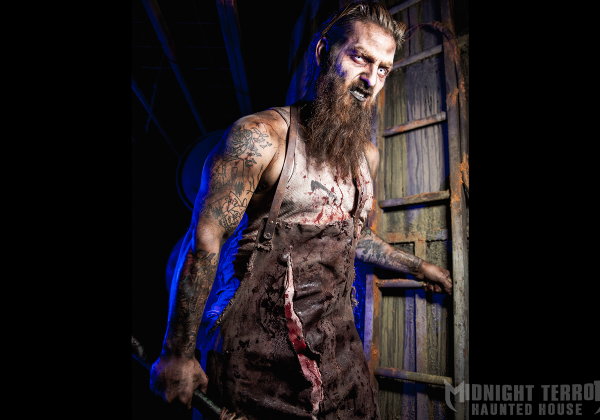 Site contents Copyright © Midnight Terror Haunted House. All rights reserved.